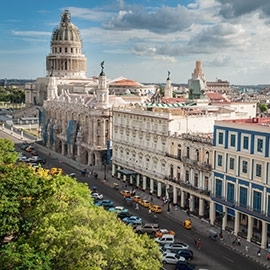 If you're looking to study Spanish in a real exotic and unique destination, Havana is the place for you. Our Spanish school in Havana, Cuba is unique in that it is not located in an actual building. Instead, we offer students the exciting opportunity to learn Spanish with a highly qualified teacher in a personalized study setting while experiencing the rich culture of this Caribbean island country. 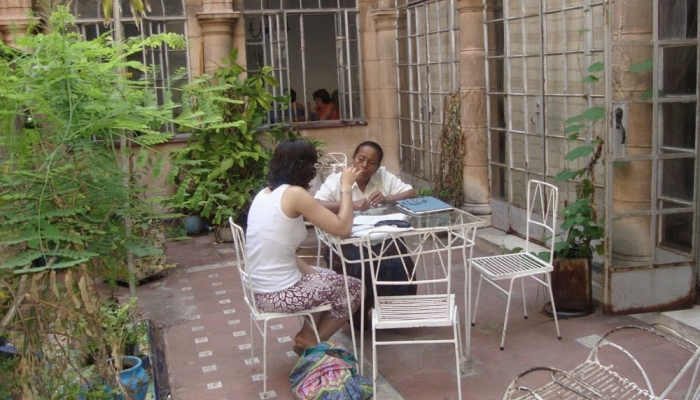 You will have class at the home of your teacher, at your host family’s house, or in mini-groups at a Cuban cultural center. 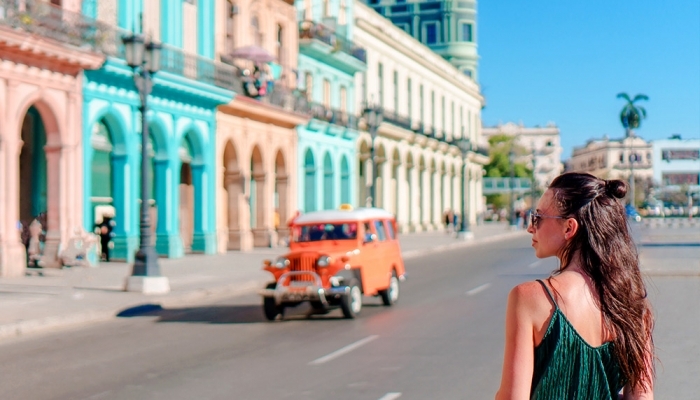 In any of these three class arrangements, you will learn Spanish surrounded by native speakers and the city of Havana that will invite you to explore. The school is also affiliated with the country’s prestigious cultural organization UNEAC (Unión de Escritores y Artistas de Cuba). 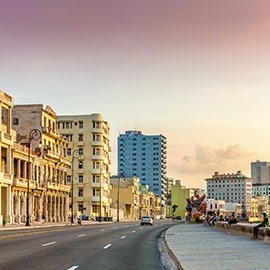 Learn Spanish in Havana with our partner school and have a rich and dynamic cultural immersion experience. 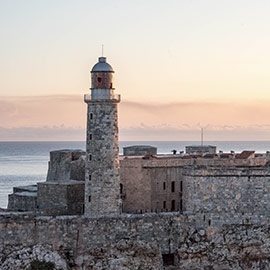 The Old Havana is monumental, in every sense. 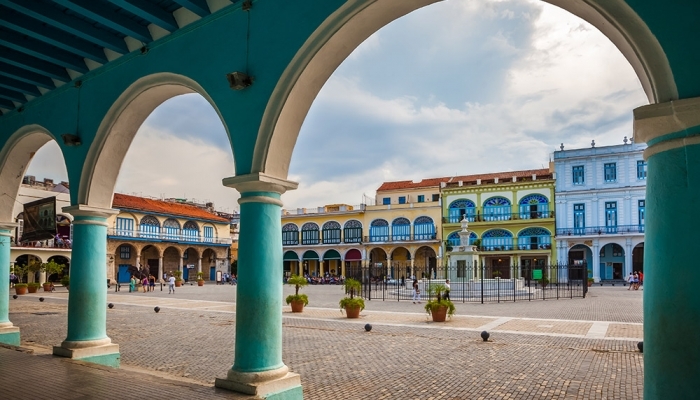 Its buildings mix different styles from different eras and in it you can find everything from souvenir shops to restaurants with savory Cuban food. An absolute delight! 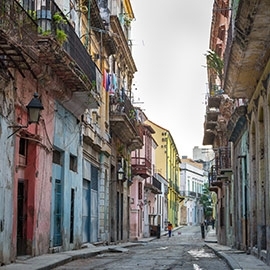 Havana is a place where the infectious rhythms of son and salsa linger in the air, where friendly faces invite you in and make sure that you're not the only one with idle hips, where poets find their inspiration and poetry is hidden in everything you see. 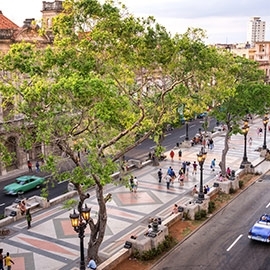 Learn Spanish in Havana and experience this kind of city yourself. Music, bands, and floats go round the seawall and the city center streets. 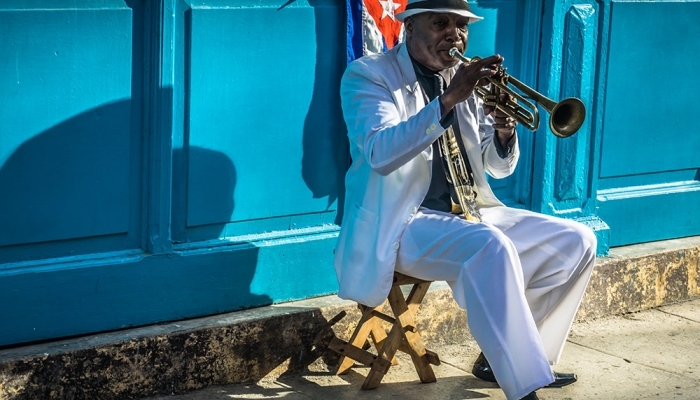 Best Cuban and international musicians gather in several clubs of the city. 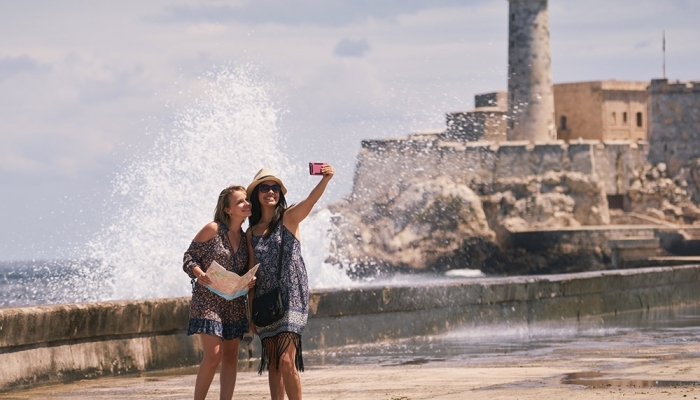 Cubans approach the sea to make a floral or fruit offering to the sea goddess.